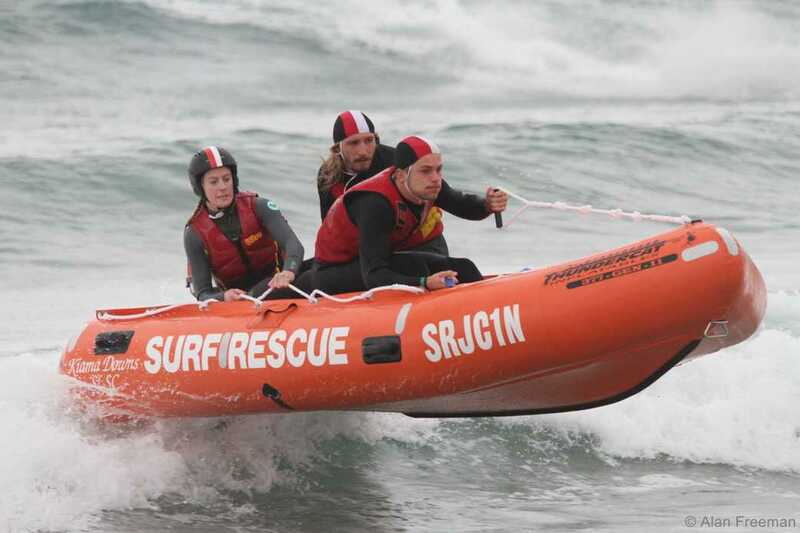 For the second consecutive year, Mollymook SLSC will be home to more than 250 surf lifesavers competing in the NSW IRB (Inflatable Rescue Boat) Championships on 2-3 July. Athletes from as far north as Foster SLSC down to Windang SLSC in the Illawarra will make the trip to Mollymook for an action-packed weekend of racing. Mollymook SLSC President, Rodney Austin is very proud on behalf his members to host the NSW Championships for the second year and welcome a large number of surf lifesavers and spectators to the South Coast. “We always love having these events, they bring our club members together and everyone pitches in and has a memorable weekend. We enjoy the weekend as much as the competitors do,” Rod Austin said. Coming off a dominant Premiership series victory, Kiama Downs SLSC know next month’s State Championships is a different level of racing. 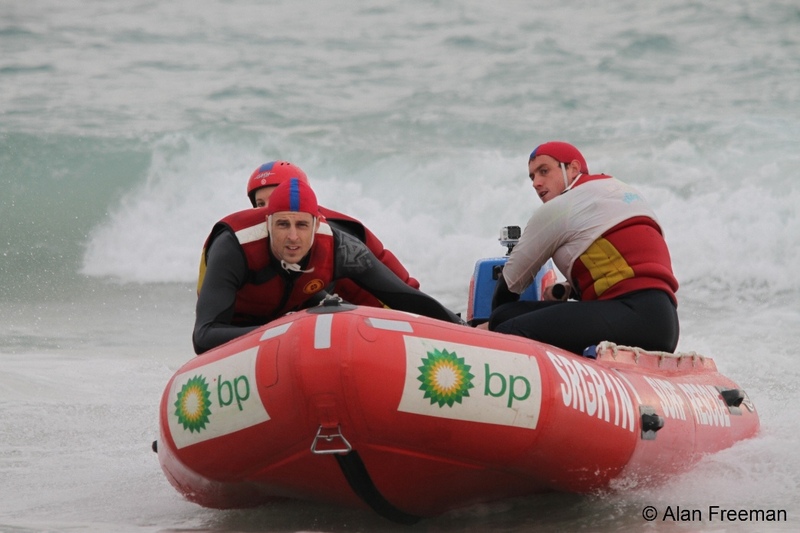 “We have to change our mindset and push ourselves a bit harder in the races and we’re honing our skills leading up to the NSW IRB Championships,” Kiama Downs’ Team Manager Steven Guy said. The pressure will also be on Caves Beach SLSC which has incredibly won the previous 11 NSW IRB Championships. It’s a busy month for Mollymook SLSC and Shoalhaven City Council as they’ll also be hosting the Australian and Interstate IRB Championships from Friday 22 to Sunday 24 July. 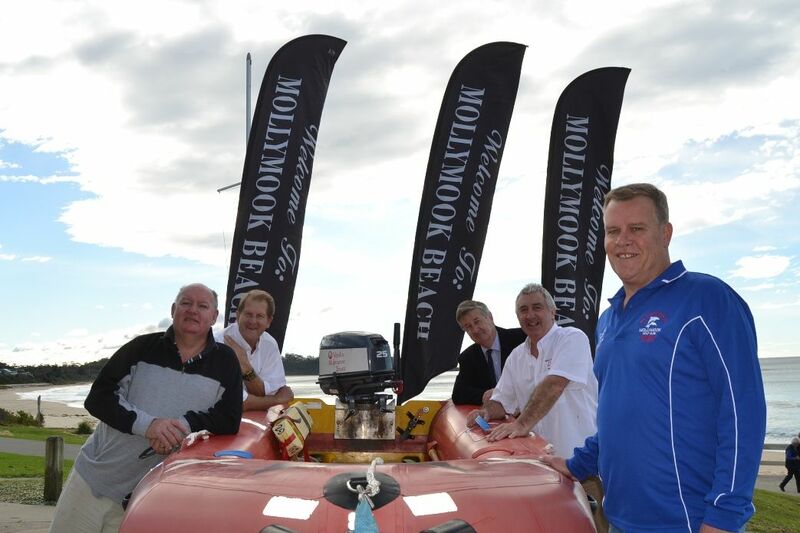 Shoalhaven City Council Assistant Deputy Mayor, Allan Baptist says Council is proud to be partnering with Mollymook SLSC to host the championships again this year. “Last year’s NSW IRB Championships event was a huge success, with Mollymook Beach proving to be the ideal location for the event,” Councillor Baptist said. “We are really excited to attract both the NSW IRB Championship and the National IRB Championships to the Shoalhaven in July, as securing events of this kind during winter is extremely valuable for the local economy. “The championships are an important event in our sports tourism calendar, with the influx of visitors expected to inject an estimated $150,000 into the local economy. Surf Life Saving NSW Sports Manager, Rob Pidgeon says having the three Championships on the same beach is great for NSW athletes. “It’s a big advantage for our surf lifesavers leading into the Australian and Interstate Championships. The quality of competition so far this IRB racing season has been of a very high standard and we expect that to continue in Mollymook,” Rob Pidgeon said. Racing is set to kick off at 8am on Saturday 2 July 2016 at Mollymook Beach. It was all smiles for Kiama Downs SLSC on Sunday after dominating the final round of the NSW IRB (Inflatable Rescue Boat) Premiership and taking the series ahead of Caves Beach and Queenscliff. This victory makes it five years straight for the South Coast club and the win is well deserved after finishing on top after each of the four rounds. Apart from pride, the Kiama Downs surf lifesavers walk away with a new IRB motor from Lakeside Marine for the outstanding effort in taking out the Premiership. Kiama Downs SLSC Team Manager, Steven Guy says it’s always good to win the Premiership and shows their training is paying off. “The racing has been a lot tighter this year, and I don’t think the pointscore reflects how close the races have been. There are a number of clubs who are starting to hit their straps - Caves Beach and Queenscliff are doing particularly well this year,” Steven Guy said. A host of clubs finished on top of the podium after the Premiership Rounds with Kiama Downs taking out nine gold medals in four different categories, Caves Beach finished with three gold medals while Thirroul’s Open Female team finished with two gold medals in the Tube and Mass events. Woonona’s U23 Mixed team claimed two gold medals while Newcastle and Coogee took out Novice Rescue and Mass events respectively. A special mention to Kiama Down’s Nathan Foster who finished the Premiership with an outstanding seven gold medals from eight events. With the State IRB Championships less than two weeks away, clubs are fine tuning their skills to make sure they’re well prepared for the weekend’s racing at Mollymook SLSC on 2-3 July. Caves Beach SLSC IRB Captain, Scott Bryant says despite finishing second their focus is on the State and Australian Championships next month. “The Premiership is a lot of fun and is great for the sport but the State and Australian Championships are different carnivals and it’s the pinnacle we aim for each year,” Scott Bryant said. The Hunter club has had a lot of success over a number of years, winning the NSW Championships for the last 11 years and they’re looking to make it 12. Above: Queenscliff in action in final round, photo by Alan Freeman: Queenscliff had their best ever result finishing third. The return to IRB racing of Jake Williams, David Short, Shaun Stewart and Alicia Robledo and the addition of several newcomers saw a vastly improved performance by Queenscliff crews in the NSW IRB Premiership series. Bryony Hobson, Hannah Schnorpfeil, Hannah Belikoff, Samantha Cleary, Mary-Ann Heaney and Adsie Monn were all new, while for Shaun Sursok it was his first year in.